The move will roll out around 1,850 Target stores in the U.S., most plausibly in the coming weeks. U.S. renowned discount retailer, Target Corp. has recently announced that it will soon accept Apple Pay, Samsung Pay, Google Play as well as contactless cards from Visa, Mastercard, American Express and Discover in all of its U.S. stores. Reportedly, Apple in separate press release announced that its mobile payment and digital wallet service Apple Pay, in addition to the 1,850 Target stores in the U.S., will be accepted at over 7,000 Taco Bell stores, over 245 Hy-Vee Midwest supermarkets, more than 2,200 Jack in the Box locations and at around 3,000 Speedway convenience stores. For the record, Apple Pay is now accepted by the top 74 merchants in the U.S. and by 65% of all retail locations across the country, with the technology being used more than any of the other secure mobile payment solutions. Reports from USA Today cite that Target’s move to accept contactless payment methods would significantly enhance Apple Pay and other digital wallets. 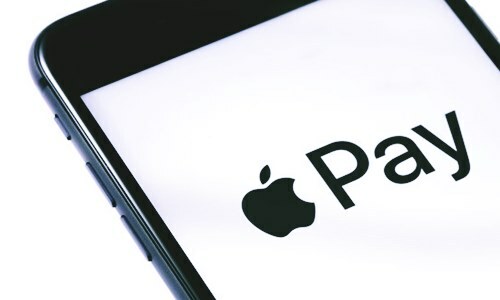 Acceptance of Apple Pay by merchants with high customer visit-frequency would further encourage shoppers in the ‘tapping to pay’ process, claim reports. Mike McNamara, Chief Information Officer, Target, was quoted saying that the move will offer customers a more convenient and quick way to pay for products eventually making it easier than ever to shop at its U.S. stores. Reportedly, in December 2017, Target introduced a wallet feature in its app that allowed customers to pay by scanning their phones at checkout or by an underlying Target REDcard debit or credit card. The app offers customers with 5% discount and other benefits through the REDcard, however, they cannot use the REDcard through Apple Pay. As per reliable reports, the rollout of Apple Pay, Samsung Pay, Google Pay, and contactless cards at Target stores is likely to take place in the coming weeks.